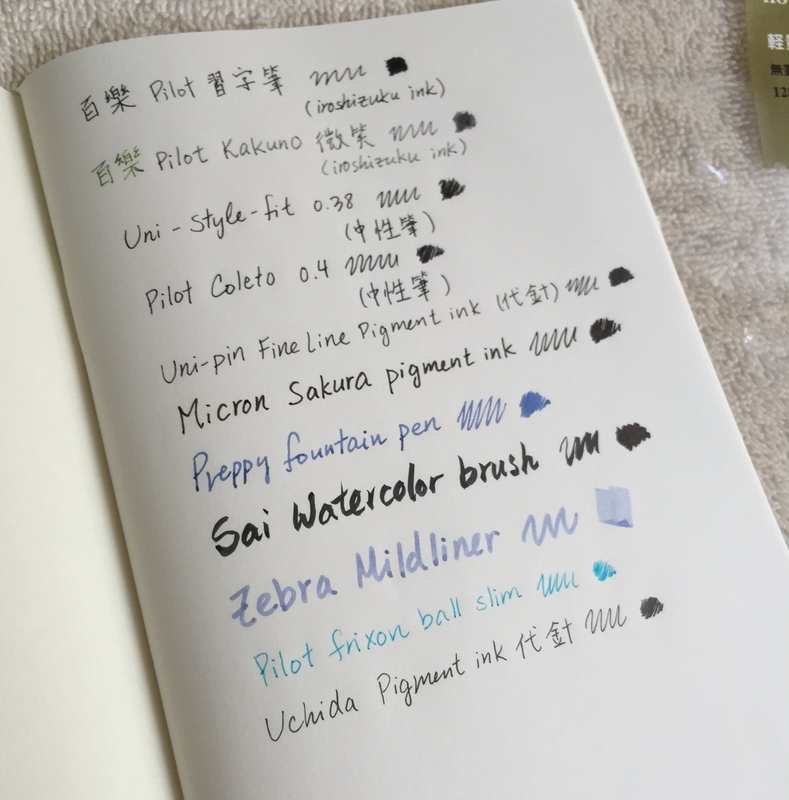 As a fountain pen beginner, my objective was Pilot’s Penmanship Fountain pen. 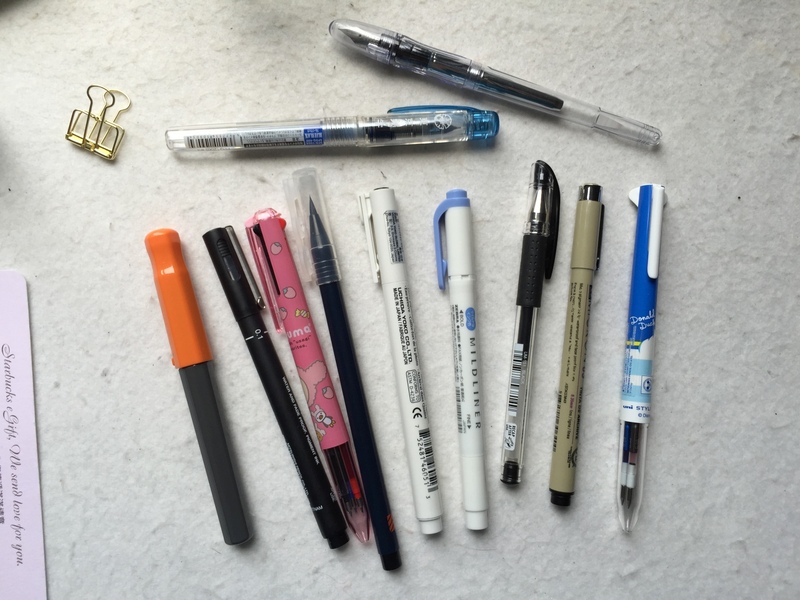 It is a introductory fountain pen with an Extra Fine nib, designed for people who wants to practice their penmanship. 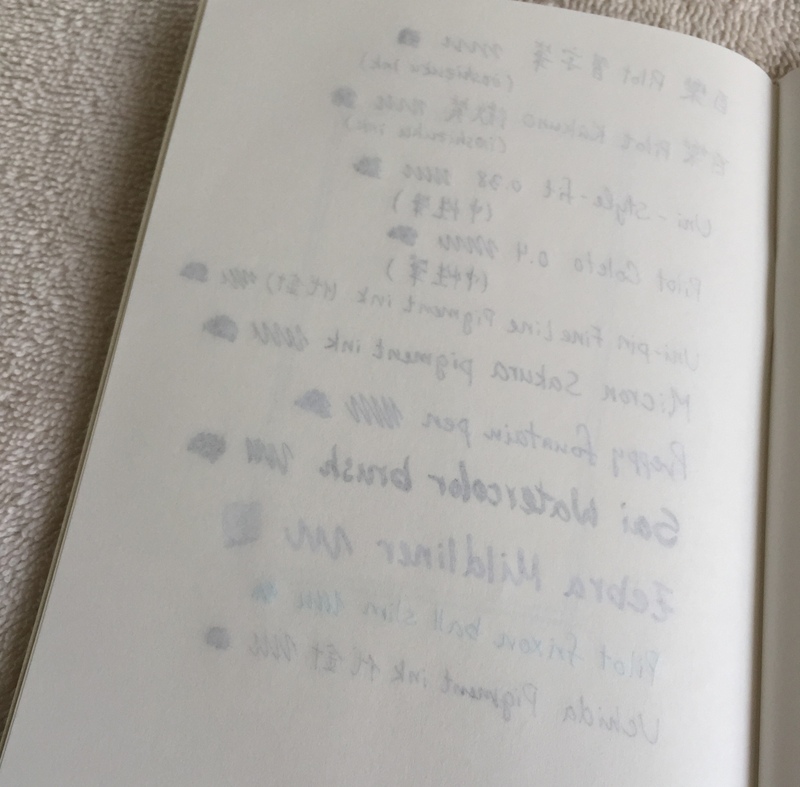 It is especially useful for Asians because our writings requires more complicated strokes (especially Chinese). 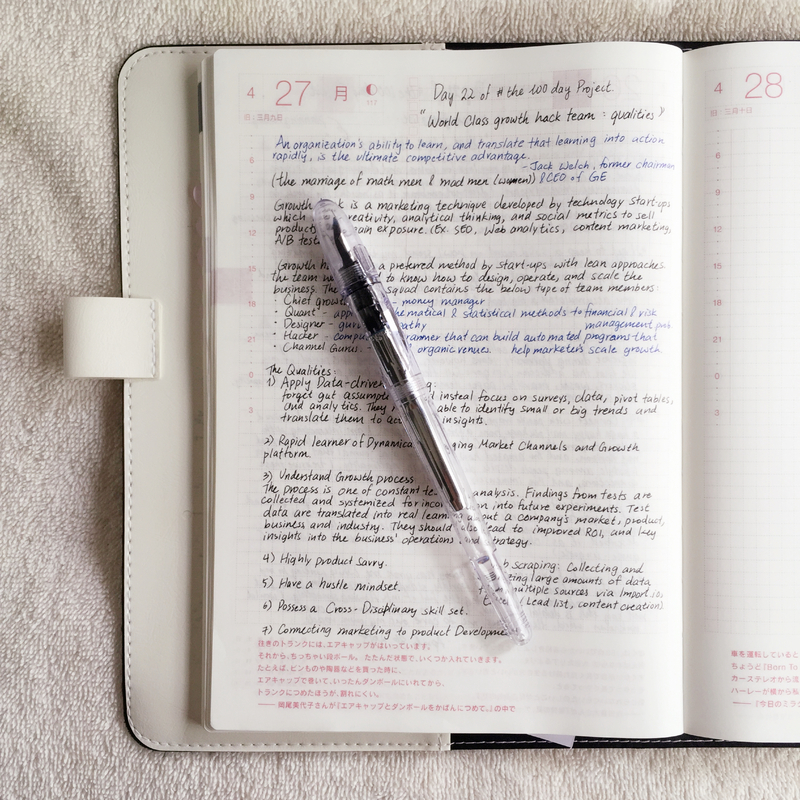 I love to use fountain pen in my Hobonichi, but the Fine nibs of Pilot Kakunos are still too large for Chinese handwriting in the small grids of my planner. This Pilot Penmanship fountain pen has a transparent and long body. I love the firm grip and position holder near the tongue of the pen. I fitted it with an ink converter so I can play with my various coloured inks! 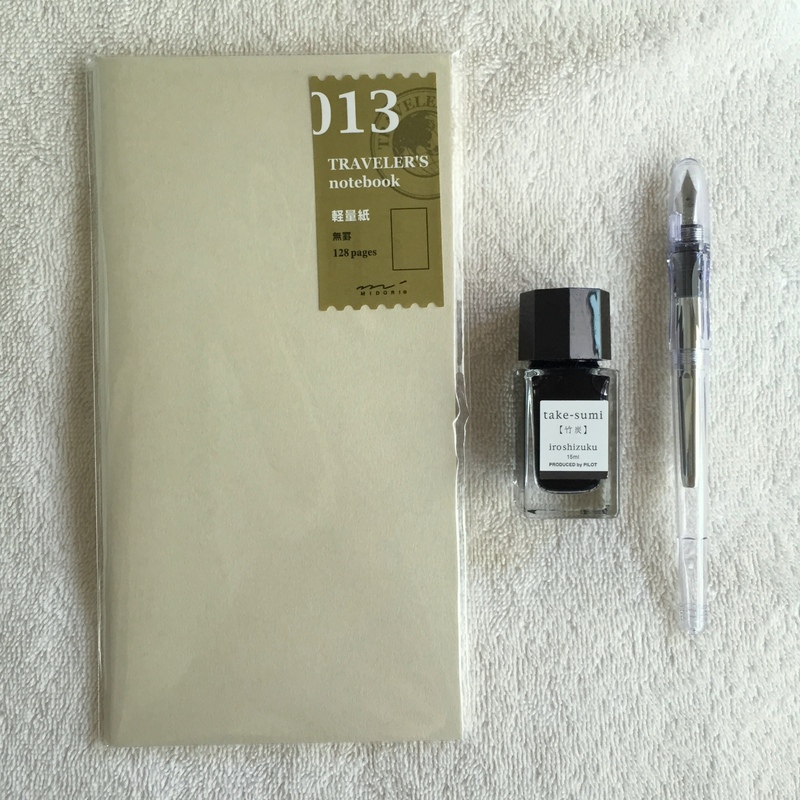 Unlike my addiction with Hobonichi productions, I’m relatively new to Midori’s Traveler’s Notebook. 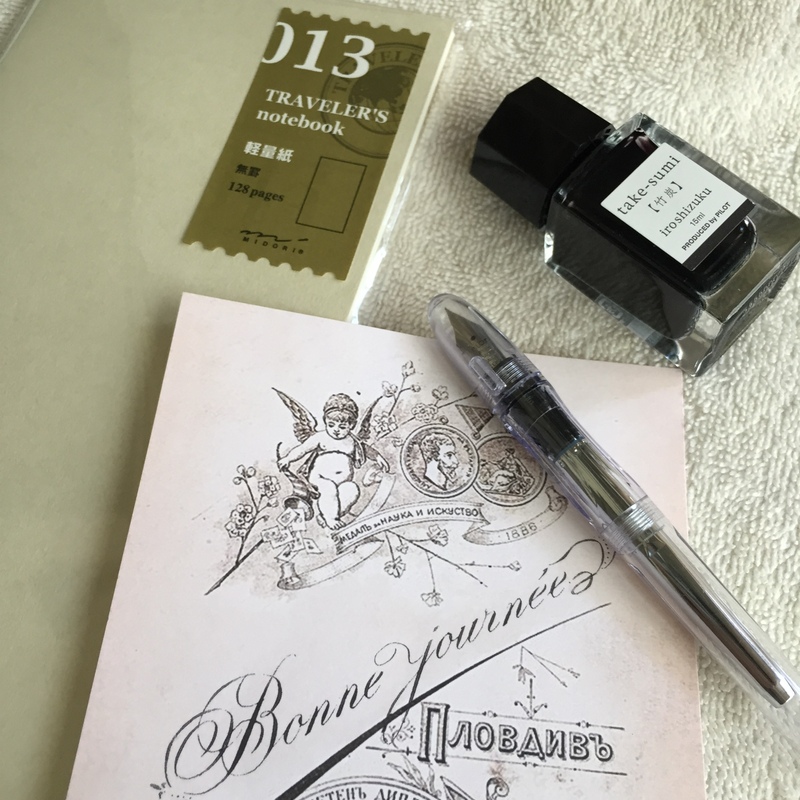 I own a brown TN from Midori from two years ago, and I mainly use it to collect stamps that I come across in my travels and outings. I love the length of a TN and how it can safely store brochures and tickets to events and exhibitions. I’ve always used the 003 Blank page insert for my purpose. The paper is sturdy and beautifully blank for all sorts of creation. It has 64 pages ,which I was pretty satisfied with, considering that I don’t use it as much as my other journals. 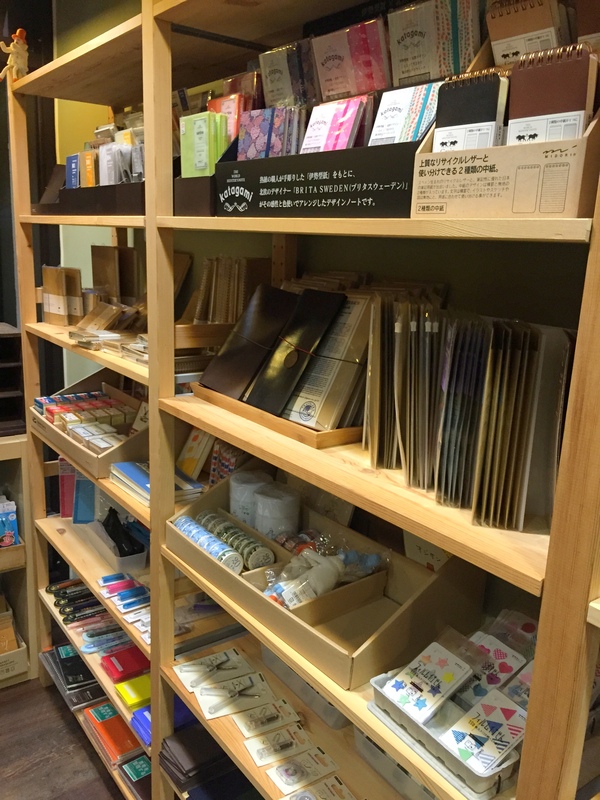 However, when visiting Vision Stationery with my friend, his enthusiasm to get all the inserts available was pretty contagious. At the end of the day I walked out with a new insert 013, the light weight paper. 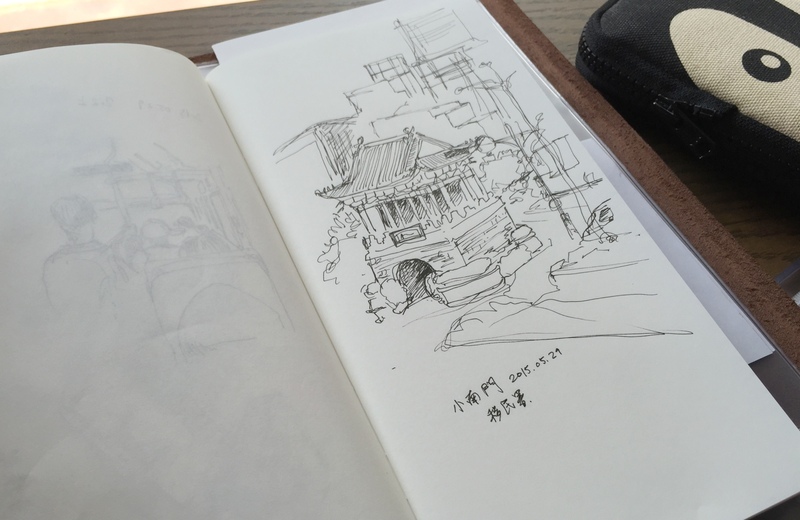 The owner told me that it is almost as good as Hobonichi’s Tomoe River paper. The cover is a light beige color, and has 128 pages (almost twice as much as the other inserts). On the next day, I immediately did a few pen tests to see if the paper does hold up to its Brand or not. As you can see from the pictures, there are light ghosting for all the pens, but there are no actual bleed through with all of the pens. The pages are light enough that each pen can make a clear imprint on the surface of the pages, so I would suggest using a pencil board together with this insert. I do foresee the pages looking too clustered if you write full pages on both sides of the paper because the ghosting are very visible. I tried watercolor on this insert, and it works well too! I ended up using this as my sketchbook on the go! The abundance of pages allows me to sketch liberally. 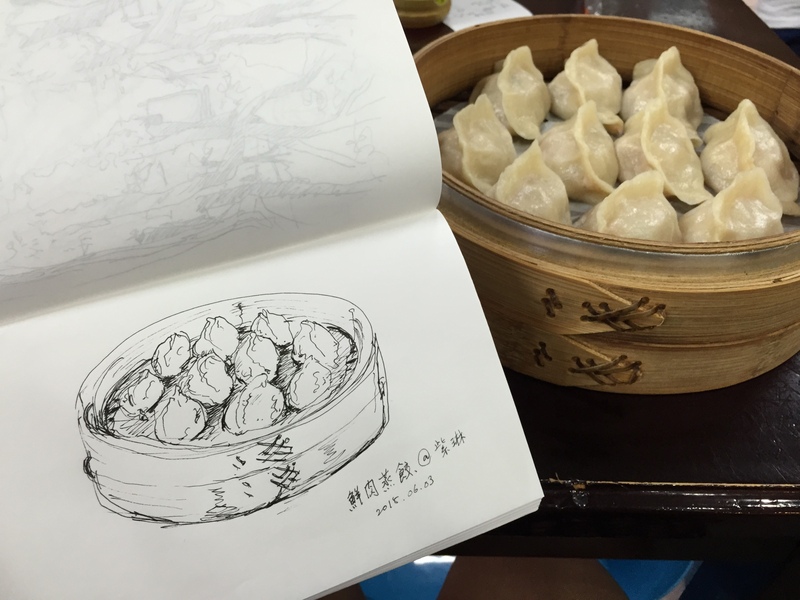 It is also a light booklet to draw anytime, anywhere. I love using my pigment ink pens with the light weight paper. Using watercolor can wrinkle the pages quite a bit, but adds character to the book! 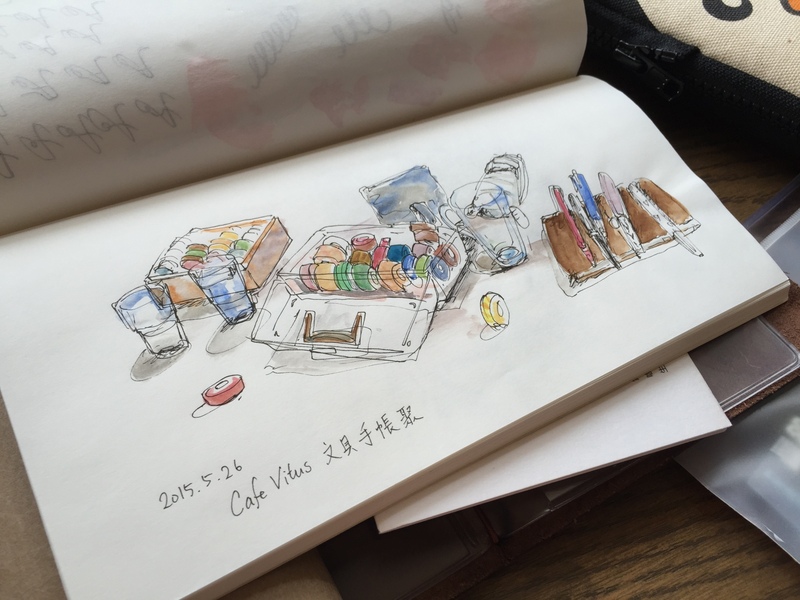 This is a short sketch of a planner meet I held with a few of my friends. We swapped washi samples and had a lot of fun!